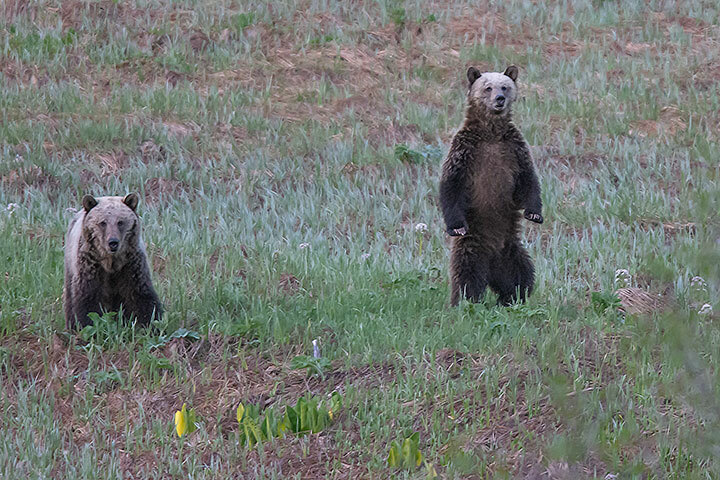 At dawn and dusk for a few spring weeks, Grizzly Bears come down from the high country to visit marshy lowlands. One might think that they come for the skunk cabbage — apparently not. It seems that the attraction is the water parsnip. The roots of this plant are edible for a short time before it flowers. Grizzlies know this. Two Grizzly Bears feast on what is likely the fresh roots of the water parsnip. A bear stands to sniff the air when it is curious about something. I didn’t know they hunted together. Good photo story. 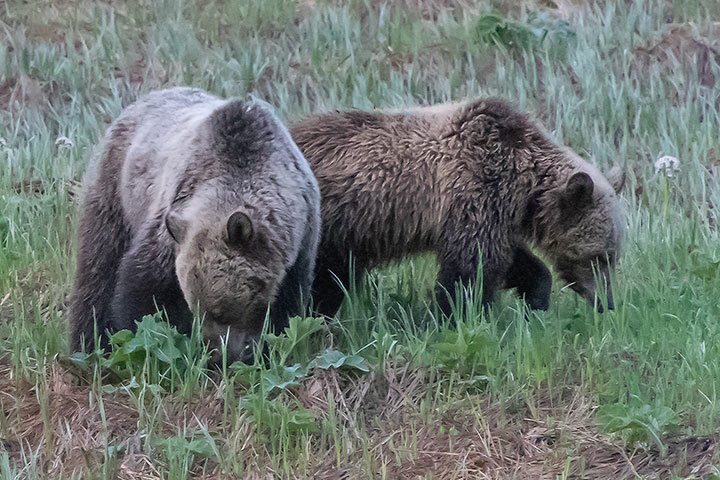 Christine, grizzly cubs graze together and the sow usually grazes with them. 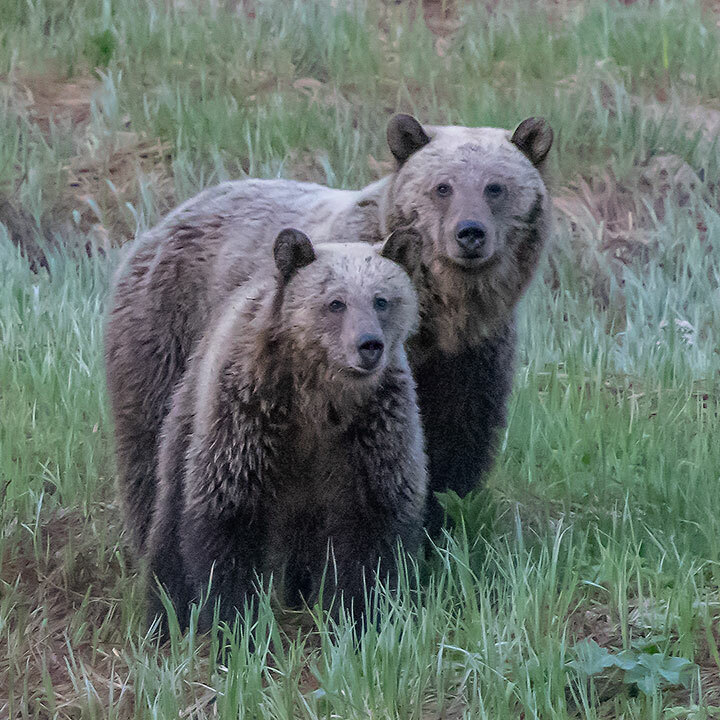 These two may be a sow and last-year’s cub. Many thanks for those super pictures. They look fine healthy specimens . Wonderful pictures Alistair. Where did you see these beautiful bears? Peter, I have answered you by e-mail.